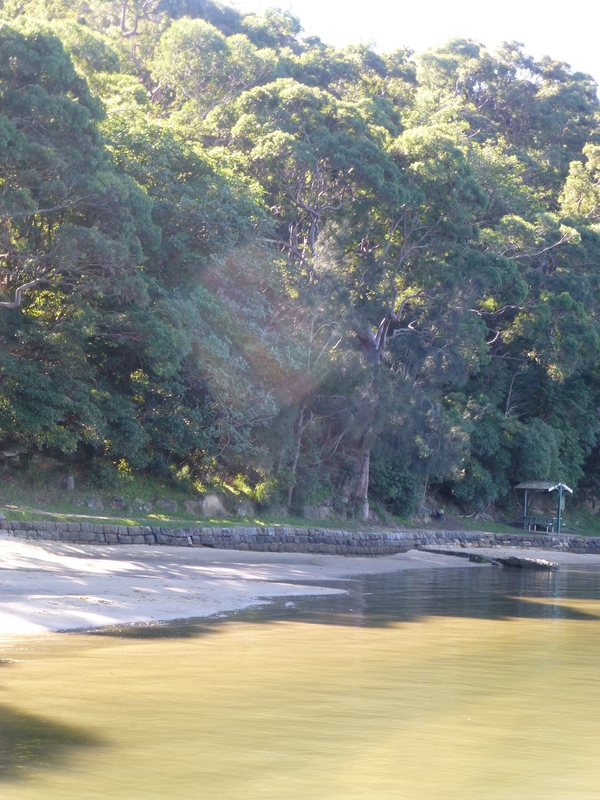 One of the attractions of living near a natural bushland park lies in the easy accessibility of beautiful scenery. 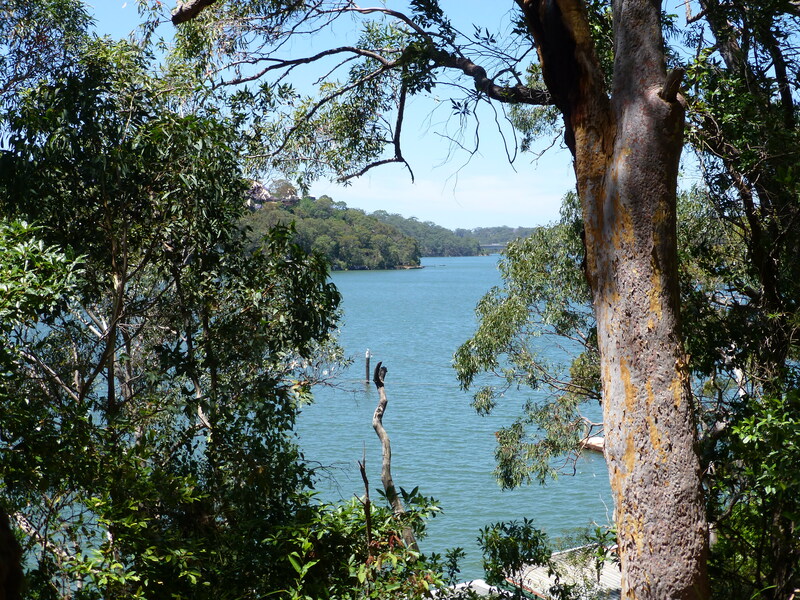 The bark of this big tree is quite delightful to the eye, and who can resist the water views? 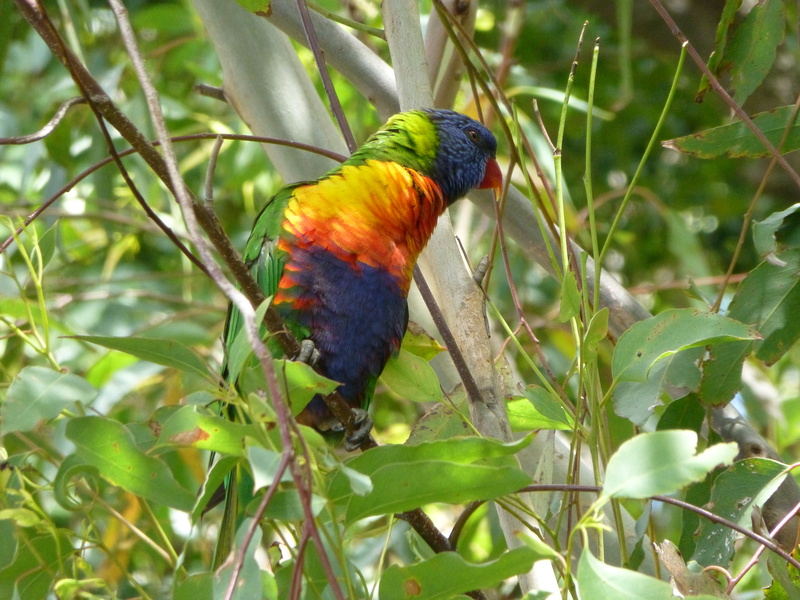 I’m taking a risk in trying to read the mind of this Rainbow Lorikeet, but nevertheless I’ll proceed. ‘What have we here?’ he’s thinking as his eyes alight on an enticing morsel below. 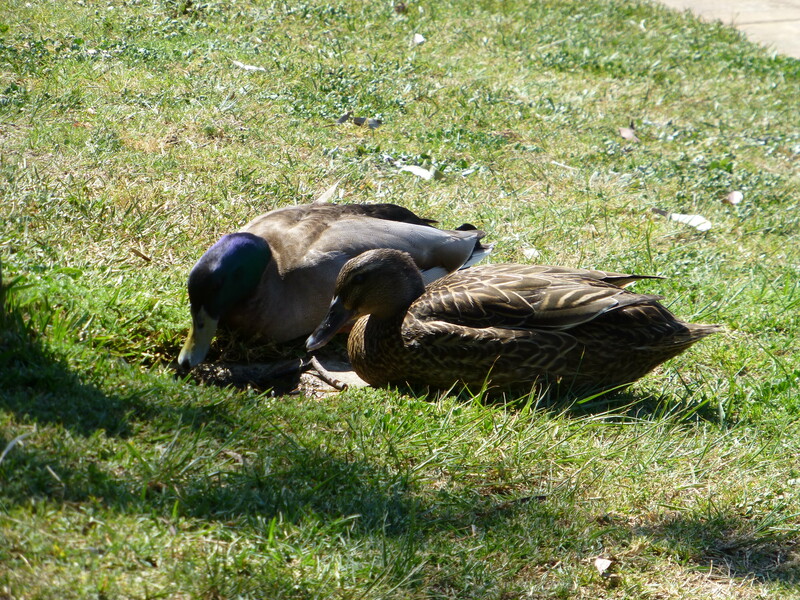 As I look at this pair of ducks, I wonder…. Their bonding is so easy to see. They follow each other everywhere. 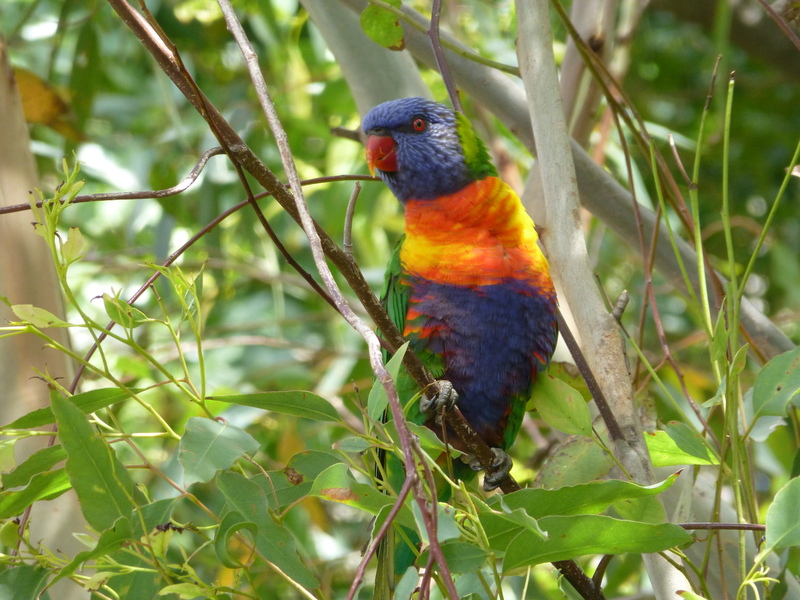 Rainbow Lorikeets: so aptly named! 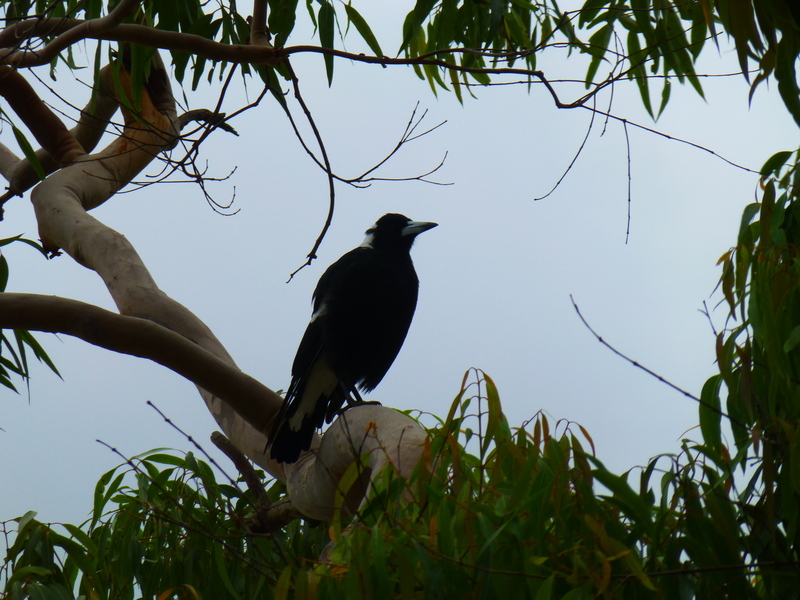 I know of no other wild Australian bird that sports a more vivid, striking and cheerful display of coloured feathers, not to mention a wonderfully cheeky red beak. 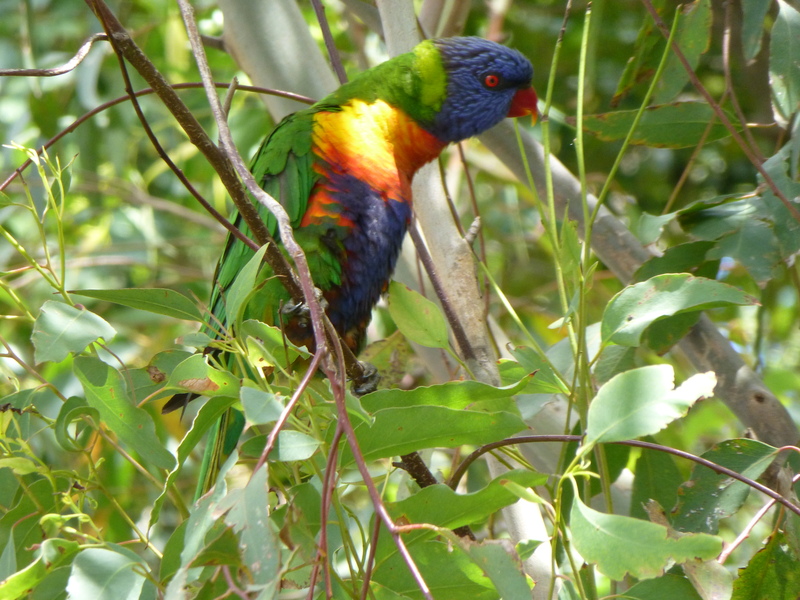 Flocks of these parrots inhabit our local park and often visit neighbouring gardens, especially those that support Australian natives such as Grevilleas, Banksias and Bottlebrush.